Setting an asking price for your home after you have decided to sell can seem a very difficult task. Of course, you have your real estate professional to guide you, and that’s great, but what are some ways in which you can become an active participant in this process? After all, over the years you have put time, work and money into your home. Perhaps you made some important personal and artistic choices that you feel have added value. Here are a few rules to remember when trying to set the right purchase price. 1. Remember, supply and demand is the bottom line. No matter how wonderful your home is, if the current real estate market in your area is a poor one, it must be taken into consideration. Also, if there are many homes for sale that are similar to yours and in the same basic location, this must be taken into consideration as well. Your real estate professional can tell you whether you are in a buyer’s or a seller’s market which will have a huge impact on setting a sales price. If you have made any major improvements to your home, you’ll want to consider those. For instance, if you have put in a swimming pool: done an extensive kitchen remodel: put in a new wood floor: or added elaborate landscaping, these will all constitute major improvements and may increase the price of your home. Just remember, not all improvements have a positive return on investments (ROI). Just as appraisers and other real estate professionals do, you will also need to consider the comparable sales prices of homes in your immediate neighborhood. 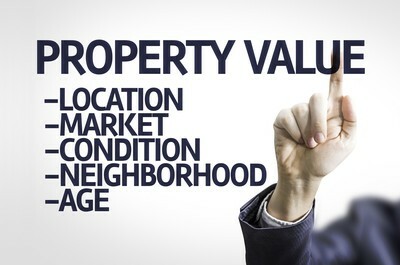 The current market value of homes with the approximate square footage of yours, along with lot size and general amenities is an important gauge toward pricing your own home. If you price your home too low, it may raise a red flag. Potential buyers will wonder what is wrong that caused you to price it so low. Conversely, if you price it too high it will be more difficult and take longer to sell. You must take into consideration what a true comparable sale is, and what is not. If a new home in your neighborhood sells at the same price for which your older home is listed, you are not going to get the price you want. Even if you have a better home than something comparable, that is located in a better neighborhood, you must consider the importance of location. The asking price you settle on will be a contributing factor as to how long your home sits on the market, as opposed to how fast it will sell. Choosing just the right price to achieve your goals, sell your home in a reasonable amount of time, recover the amount of money you are hoping for, and effect a positive outcome are all dependent upon your final decision and how you arrive there. Take a long and objective look at your home and at the real estate market that applies to you, and with the help of your real estate professional, you will be able to select a price that best serves your needs.